Also here is another example below of an ‘instruction video’ for the all mighty beer. When large bottles of beer are ordered it will be the youngest person’s responsibility to pour it for everyone. OK! So here is that lovely video aimed at Japanese people for pouring and receiving beer. When pouring: Make sure that the label is facing up and that your right hand holds the glass from the bottom while your left hand supports the bottleneck. When pouring: Make sure the person you are pouring it for tilts their glass ever so slightly so that it gets a good head on the beer. Caution: Pouring the beer with one hand and also covering the label should be avoided. When receiving the beer: Make sure you support the glass by holding it from the bottom. Also tilt it slightly so that it makes it easier for the other person to make a head on the beer. Not tilting it enough so that it all ends up being some kind of bubble mess should be avoided. Kinda makes the guy who is pouring it look bad. Other: When it is draft beer say cheers touching the drinks, when small glass avoid. If there’s an empty glass make sure you put more beer in that bad boy. Also don’t pour your own drink, get someone to pour if for you. Ok so this video is like THE textbook example and I am not saying that it is ALWAYS like this. But when I first started working I was cautioned multiple times about the way I poured, or for not noticing that my seniors glass was empty i.e. I should have been filling it up. For people who don’t like alcohol this might all seem like doom and gloom. But fear not, there is a light at the end of the tunnel. There are numerous sites devoted to this topic, on how to turn down drinking at such events. The article listed below tackles many of the worries that new employees might have at a social event with alcohol. In the manga above we seem a new employee who isn’t the best with alcohol and watching her other teammates getting a bit OTT with drinking. All the while she is feeling the pressure to drink. For people who can’t drink (as discussed earlier in Alcohol in Japan) the article recommends literally saying to the boss in advance that their body type is not capable of drinking alcohol, or maybe even lying saying that they have passed out from drinking before and so is a matter of life and death (badass article encouraging people to lie to their boss, nice!). It then goes on to explain rather seriously that they are cases where people who are not good at drinking alcohol have been forced to drink and then died (in fact often in the news there are serious cases of young people dying from alcohol poisoning at university clubs where much of the same superior/inferior principles apply, though the article above says no one was forced to drink). Overall the worry of the new employee in the manga, and also of what I have heard multiple times myself from Japanese friends, is that they fear that they may be considered boring or of spoiling the mood if they don’t drink. Now for people who can technically drink but might not be able to drink a lot or don’t particular enjoy it, the article doesn’t exactly have a definite answer on what to do. It does suggest that if you don’t like to drink you can just refuse every time you are asked until it gets it gets to the point where they stop asking you to the general nomikai. However for events such as kangeikai (welcome party) etc. you will be expected to join. Furthermore it suggests that you think of these events as an extension of work. That communication with superiors at these events is a key activity for any employee. The final bitter sweet piece of advice being that, as it is an important part of working life that you should not refuse all the time but go as often as possible and give drinking a ‘try’. In my own experience I have witnessed the same advice being given. I have a Japanese friend who entered the company at the same time as me, who had the same worry as above. He said that he didn’t particularly like alcohol and couldn’t drink that much (1-2 350ml cans). During one of our orientation lectures he asked one of our seniors what he should do. The senior employee answered with that he should drink more! That the more he drank the more he would come to like alcohol and the more he would become able to drink! What surprised me even more was that my friend responded saying that he would try his best to drink more and would drink at least two cans a day to train his body! As if it was some kind of homework to do. Crazy stuff. So alcohol and drinking is deeply linked with working in Japan. Unless you physically just can’t drink (which as foreigners, none of us can use that excuse! Damn you amazing genes!) it is pretty hard to avoid the stuff and pretty much impossible if you want to be successful within a company. Therefore if you are seriously thinking of wanting to create a good working environment for yourself and future opportunities, you will often want to participate ‘positively’ in this kind of events. I myself love to drink. So was totally over the moon when I heard about all this drinking that would be going on in my company (I was actually asked in my last interview if I liked alcohol and could drink a lot! I often wonder if I had said no, if I would have not gotten the job). However when you are at the bottom of the food chain there is a lot of non-fun things you are expected to do. 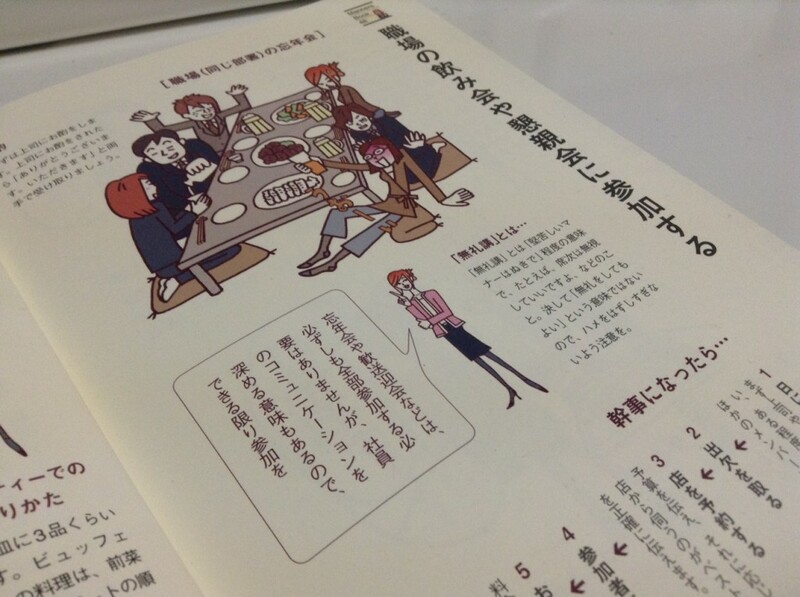 Furthermore many Japanese people assume that foreigners can drink a lot and often want to test this crazy theory out. Finally it is indeed an extension of work, so don’t expect the conversation to be anything too exciting either, unless after 9 hours working you are up to spending another 4 hours talking about more work matters. Perhaps the greatest toll in on your health though. This is something that has been bothering me a lot recently and I have started making changes to how I handle these drinking duties without hindering work opportunities but also maintaining a healthy lifestyle. I look forward to writing about this in the future. Hopefully this article has given you a broader look at how alcohol and work here in Japan are so closely intertwined. It definitely has both its good and bad points. I also think that experiences differ widely depending on the company. There are many companies that don’t mind if people don’t drink and won’t encourage it, on the flip side there are people that like to abuse this system and enjoy making new employees drink (or club members) and getting them ridiculously drunk. Thankfully my company is more of the former. Overall if you can strike that perfect balance, then this is a system which you can definitely use to your advantage if you are hoping to work in Japan as a foreigner. More on that in the future!